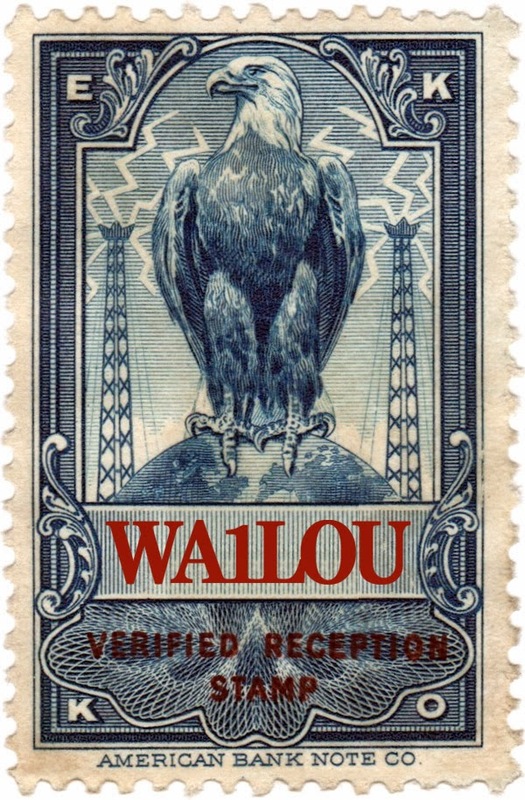 I collect postcards and acquire some of them via eBay. The postcard above is my latest acquisition, which was delivered via the postal service on Saturday. It amuses me that it took 81 cents of postage to mail the penny postcard to me! In theory, the seller could have stuck 28 cents postage and my name and address on the back of the postcard to get it to me. Anyway, the postcard was postmarked February 1947. It depicts the east side of Manhattan Island in the vicinity of East 42nd Street. That area of The City is probably the one area that I have frequented the most during the past 58 years, since it is also the location of Grand Central Terminal, which is the terminus of a train ride into The City from these parts. For you radio fans out there, note the radio tower at the top of the Lefcourt Building, which is the skyscraper to the far right. For those new to the postcard hobby, this type of card is known as a "linen" because it is intended to look as if it was printed on cloth. 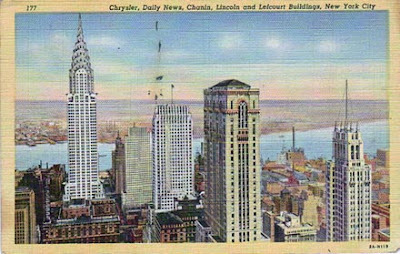 This was a popular postcard affectation from the 1930s through the 1950s. Often the colors of the linens are so unnatural that they are ludicrous; this one happens to be one of better examples color-wise.